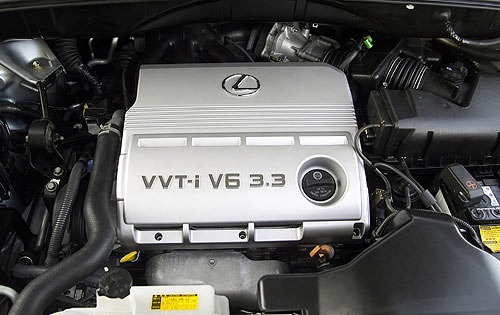 Warranty Comments: Free scheduled maintenance for six months or 7,500 miles, whichever occurs first. 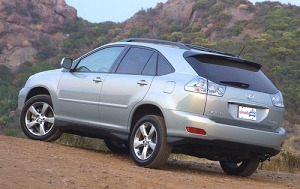 Includes heated front seats, headlamp washers and rain-sensing windshield wipers. Includes leather trim interior, power tilt/telescoping steering with memory, illumination entry system, moonroof with 1-touch open/close, roof rail and roof rack. Includes laser-operated cruise control system which measures distance from vehicle traveling ahead, and maintains a set distance from it. 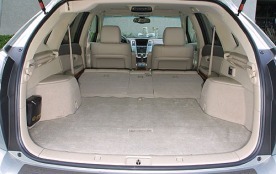 Includes heated front seats and headlamp washers. Includes towing hitch, heavy-duty radiator, heavy-duty transmission fluid cooler and trailer wiring harness. Includes 18" alloy wheels, P235/55R18 tires and full size P235/55R18 spare tire. Includes HID lights and auto-leveling. Includes DVD-based navigation system with voice control and rear back-up camera. Includes leather trim interior, power tilt/telescoping steering with memory, power rear liftgate, high-intensity headlamps, illumination entry system, moonroof with 1-touch open/close, roof rail and roof rack, wood and leather steering wheel and shift knob. 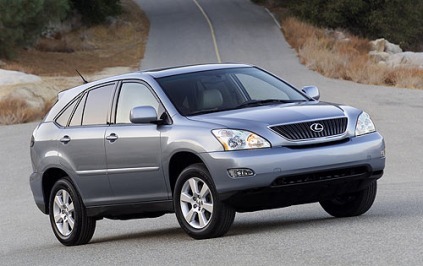 Includes Lexus GPS/cellular in-car driver assistance service. Includes high-resolution TFT screen, remote control, 110V accessory power outlet, wireless headphones and front/rear independent audio capability. 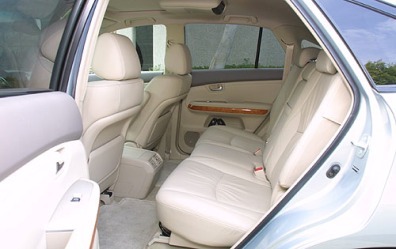 Includes large sunroof, leather trim interior, power tilt/telescoping steering with memory, power rear liftgate, high-intensity headlamps, illumination entry system, wood and leather steering wheel and shift knob. Includes 18" Graphite wheels with P235/55R18 all-season tires, air suspension, sequential automatic transmission, leather trim interior, power tilt/telescoping steering with memory, power rear liftgate, high-intensity headlamps with Adaptive Front Lighting System (headlights swivel right or left when turning, based on speed and angle), illumination entry system, moonroof with 1-touch open/close, roof rail and roof rack and rain-sensing wipers. Includes DVD navigation system with compass and rear camera, RDS, 6-disc CD changer, cassette player, 11 speakers, 210-watt amplifier, leather trim interior, power tilt/telescoping steering with memory, power rear liftgate, high-intensity headlamps, illumination entry system, moonroof with 1-touch open/close, roof rail and roof rack, wood and leather steering wheel and shift knob. Includes door opening/closing warning and touch sensors that stop the opening or closing process if an object impedes the hatch.